I actually don't wear watches. But like you said, I get invited to events and I'm always looking for something to wear. Good thing I'm mostly invited to kid events which means my outfit doesn't really matter. I am so not stylin' since I work at home. I will go to the HEB with pj pants and fake UGGS but I saw my niece with a fancy and beautiful watch.. could it have been Michael Korrs.. I want that watch when I get an out of house job. It was so beautiful and I'm not a watch person. 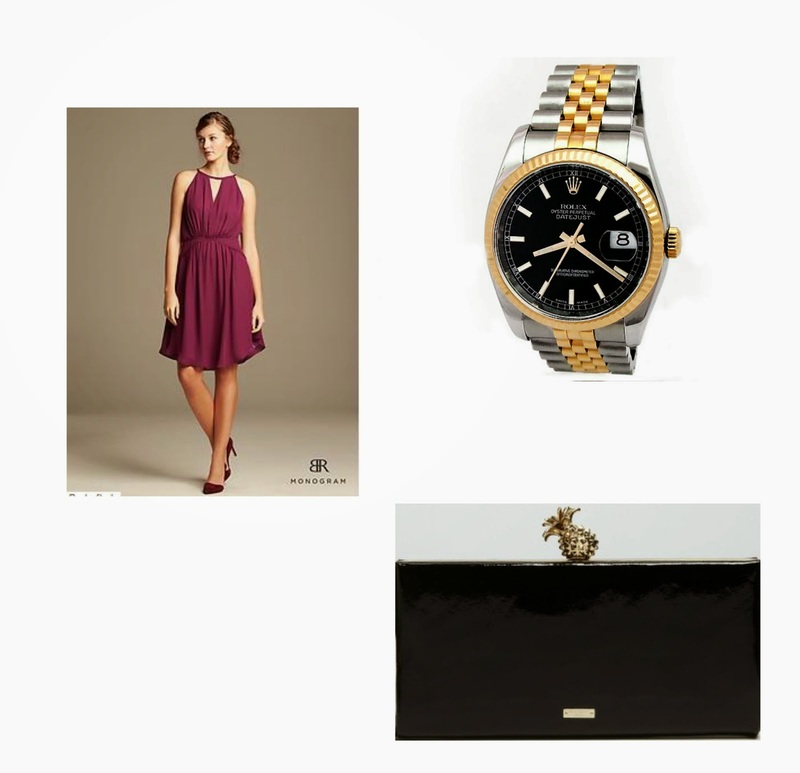 I like the idea of wearing a men's watch with such a feminine outfit. I think it would look great! I love watches Kate Spade is probably one of my favorite brands for watches. Watch as a symbol of successful men, recently promoted, so going to buy watches,Cheap Ladies Armani Watches personally like, I do not know how you feel?